Zelda is pragmatic. 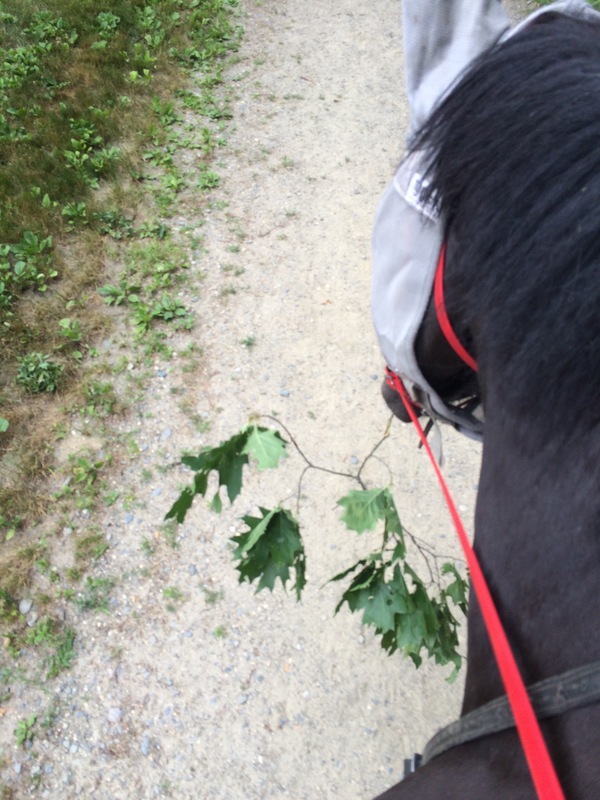 When I told her we were going on a long hack, she snagged a snack on the way out. Or maybe she wanted to have an extra fly switch as the deerflies have been out in force. We were pretty lucky. It was a cool day and there were hardly any flies. We met up with a friend and had a really pleasant walk through the woods instead of proceeding at a mad dash. This loop covered 5.6 miles. Sounds great. What tracking app do you use? It looks a lot clearer than the one I use. I use Map My Run. I find it to be very helpful — not only does it give me time and distance, but it also helps keep me from getting lost :).